I am having trouble finding the setup informion file for my Lenovo z560. I have run my recovery and repair COs. When I run the repair CD, I get a message to insert a CD that has the setup information file. I don't have it. Hello, My name is XXXXX XXXXX I will do whatever I possibly can to help answer your questions. I am very sorry you have encountered and reached this problem. I do understand how frustrating a problem like this can be. Can you tell me were you got this repair cd, was it by chance burnt to disk yourself or was it sent to you? I see, again I am very sorry this problem happened. 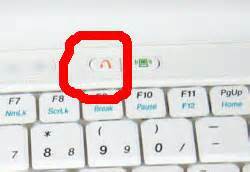 Give me just a moment I am going to check the machine you have and see if there is another option for recovery bare with me ok.OK, sorry that took a moment do you by chance see a key that looks like this insignia? Ok shutdown the computer. Then push that button and tell me if it activates the computer and starts a program. If not turn the computer on like you normally would but right away push that button. Let me know what happens. Yes it started the laptop, but I get the same message "no bootable device -- insert boot disk and press any key." That's not good, This usually means somehow the built in recovery partition on the hard drive is gone and the reason that disk is not working is because that disk can't find the files because they are not there. There are two things that would need to be done in this case I am sorry to say. They need to either get In contact with Lenovo or you would need to, to get the recovery software on hard copy disk. Is this machine under warranty still if you don't mind me asking. By the way what I had you do was attempting to access the built in recovery software. Just letting you know. I knew what you were asking. No it is not under warranty. I have a feeling the hard drive crashed and everything that was there are no longer. What if I get a nee chard drive and buy a new up graded version of Windows, like Windows 8? I will say this make sure the hard drive is in fact bad first. In this case it might not be however if you are going to go with windows 8 keep in mind it's very different from what you have now and will take some getting use to but yes these routs would solve that problem as well. That's up to you entirely. Also, if you want to you can always get windows 8 and if it fails install then you know the hard drive is bad. I just don't want you to spend money if you don't need to. It doesn't bother me with new software. I just want my laptop back. Thank you for your help. I would like to take the time to say thank you for the more than generous feedback. Thank you for being our customer and please let me know if you need any other assistance or information. Thank you and try and have a good day. my lenovo t500 got strucked and then i restarted the system.